Alien has earned its reputation as a classic. The acting. The cinematography. 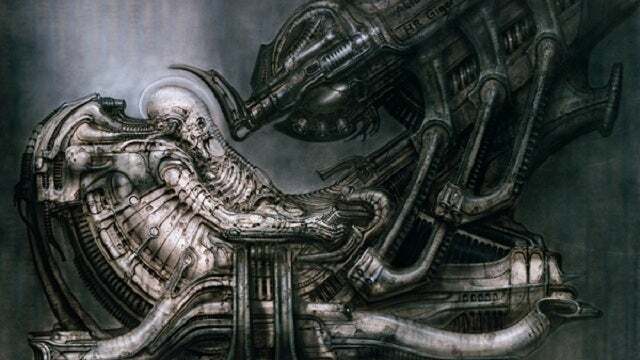 The painful intimacy of birth, death, and survival that makes the heart of the story (which the alien enjoys ripping out – repeatedly). The dialogue and action have inspired many critical essays and late night debates among friends, and it’s the sort of film that not only holds up to scrutiny, but reveals new complexities with every viewing. The film broke new ground and inspired the next generation of storytellers to think critically and adventure widely. Buried deep in the strata of subtext and interpretation, however, is something very old: the timeless weave of a fairy tale. Fans and critics alike have pointed out that Star Wars owes much of its success to the mythic cycle followed by the original series. Alien enjoys a similar model, though it is far more discreet. 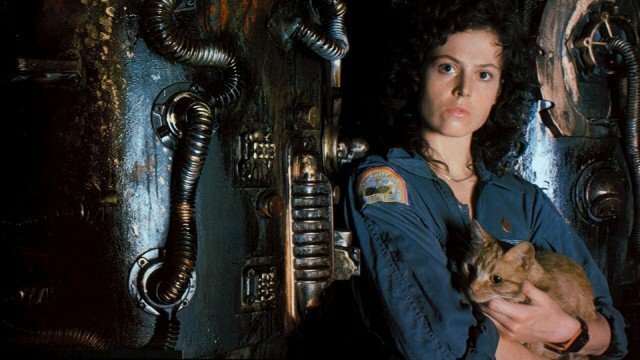 The only overt imagery is the final shot of Ripley asleep in her pod, looking more feminine and peaceful than she has throughout the entire story. In her glass coffin, she is a sleeping beauty. Unlike the Grimm’s version, however, she has had to fight her way into bed rather than out of it. But this is hardly the only tie.The links to fairytales are there from the beginning. Just as the stepmother of “Hansel and Gretel” left the children alone in the woods to die, MOTHER abandons her children to their fate. Although she is not an active force against the survivors, her own mission and orders spark the crew’s nightmare. She has, in fact, been keeping vital secrets from them for the entirety of their mission. Once the crew overcomes their first trial, believing the worst is over and the return home will be easy, they sit down to a feast. It isn’t gingerbread, but the merry consumption and relief from escaping the wilderness reflect the traditional story to a “T.” Then, of course, they become the meal. There are many other easy connections to make. The alien consumes and hides within one of the most trusted members of the crew. Poor Kane has the unfortunate honor of playing Grandmother to the alien’s Big Bad Wolf. Ripley is both Red and the Woodsman, the prey and the avenger. She crawls out alone, however, and returns to her glass coffin with no company but her cat. There are literal giants. There are monsters in various guises. Ash is simultaneously the twisted fairy godmother – pulling the strings and making the magic happen – and the deceitful stepsister. The alien, Ash says, is pure, unclouded by “delusions of morality.” Interestingly enough, Ash is the only character entirely removed from the cycle of life and death. He is a flawless imitation of life, but he did not come from the life of another, and he will not pass along his own. Since he has no part in life, the only aspect of the alien he can appreciate is death. He is more like a force of nature than a character, and really a more hateful beast than the alien – the true villain. In the end, although he is physically punished for his more violent sins, his greatest betrayal is his appreciation for death and his separation from life. So, he wasn’t rolled down the street in a barrel full of nails, but close enough. More fairytale patterns echo through the film. An inauspicious birth and a piece of bad luck. An evil monarch and a dragon in a cave. Sending the elder, more capable brothers to deal with the beast until there is no one but the underdog to take a stand. The plot is careful and moves with the deliberate execution of a narrator at bedtime. And what better way to end a horrifying adventure than with a hero, finally at rest, having vanquished the dragon?